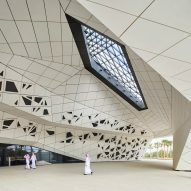 Hexagonal pods interlock like honeycomb to form the King Abdullah Petroleum Studies and Research Centre, built by Zaha Hadid Architects in the Saudi Arabian capital Riyadh. 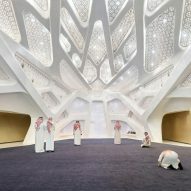 The huge building was designed by London-based Zaha Hadid Architects to provide facilities for researchers investigating the transition towards more sustainable power sources in one of the most oil-rich countries in the world. 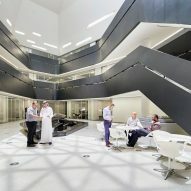 With a mission to research the most effective use of energy, the King Abdullah Petroleum Studies and Research Centre (KAPSARC) has been designed to achieve a LEED Platinum sustainability certification. 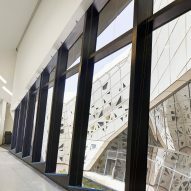 The modular honeycomb formation of the building allows for future adaption and expansion of the research campus. 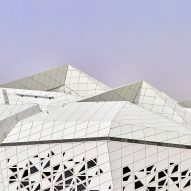 The faceted form of the cells is highlighted by angular cut outs in their flanks and latticed skylights. 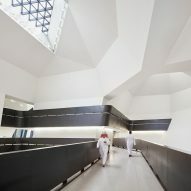 This layout is one of several passive and active systems that aim to minimise energy consumption in the hot desert climate of Riyadh. "Hexagonal prismatic honeycomb structures use the least material to create a lattice of cells within a given volume," explained the studio. 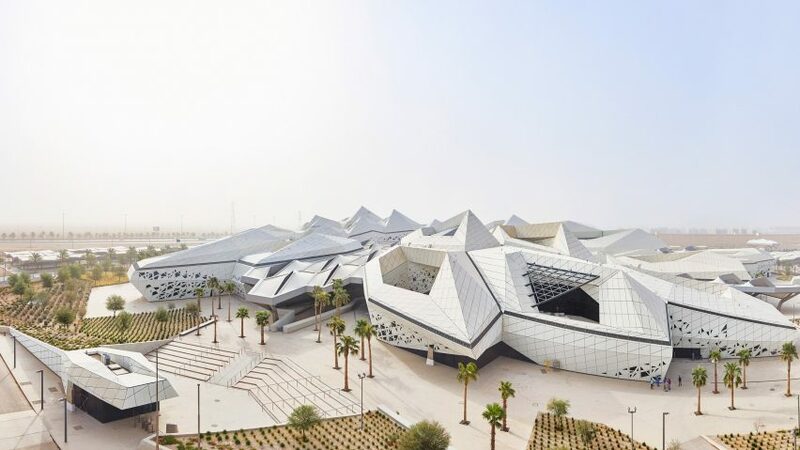 "This structural and organisational principle determined KAPSARC's composition as an amalgamation of crystalline forms that emerges from the desert landscape, evolving to best respond to the environmental conditions and internal programme requirements." Similarly, rooftop solar panels have a capacity to store up to a huge 5,000 megawatts per year, and potable water is recycled and reused across the site. 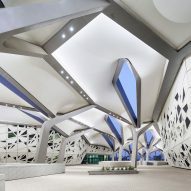 The 70,000-square-metre facility comprises five interconnected buildings: the Energy Knowledge Centre, the Energy Computer Centre, the Conference Centre, the Research Library and the Musalla prayer space. 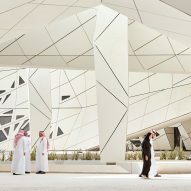 The pods are oriented to lessen the impact of the harsh light and heat of the Riyadh Plateau, and a public courtyard at the centre of the campus is shaded by canopies on branching columns. 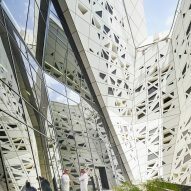 The building lifts from the ground to the north and west of the site to allow any breeze to permeate to the courtyard. 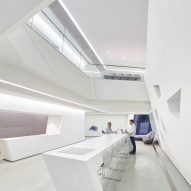 During the hottest parts of the year, researchers can travel between the different buildings via an underground passage. 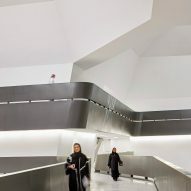 A series of smaller courtyards are also provided by the gaps left where the pods angle away from each other, and are cooled by "wind-catchers" built into the roof profiles. 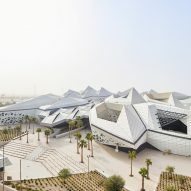 Zaha Hadid Architects is also currently working on an archeology centre for a UNESCO-protected site in Saudi Arabia, which will be dedicated to protect the archaeological sites of Wadi Hanifah, a 120-kilometre-long valley that cuts through the city of Diriyah.